With a simple and intuitive four-step process, you'll learn the art of early engagement..
You will go from a tricking pipeline to a steady flow of qualified prospects, often in as little as a few months. Explore a huge market that is invisible to the vast majotity of today's B2B seller: early cycle buyers. 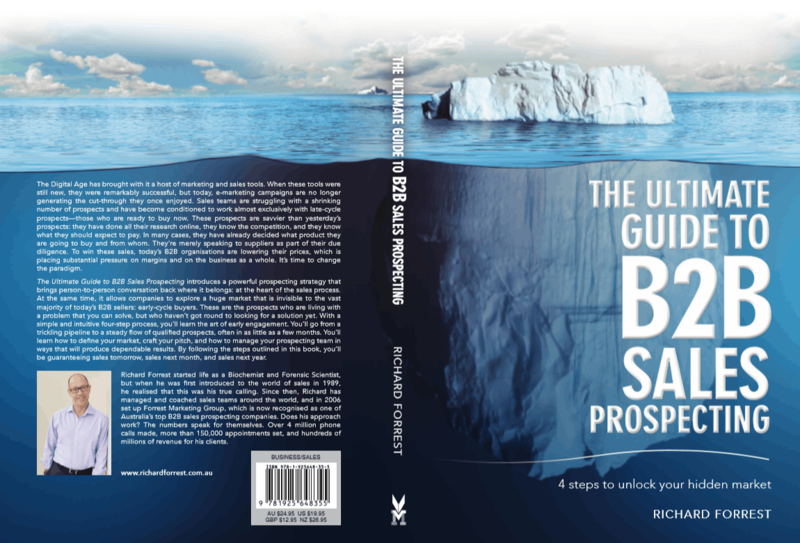 By following the steps outlined in this book, you'll be guaranteeing sales tomorrow, sales next month, and sales next year. Richard Forrst has managed and coached sales teams around the world, and in 2006 set up FMGroup as one of Australia's top B2B sales prospecting companies.